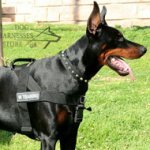 Do you need an IPO dog training harness? 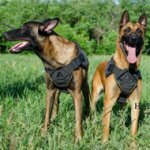 This should be an extra strong, dog-friendly and convenient item to give you maximum control over the pet and to provide it with exceptional comfort and safety during training. There are two the most suitable models, which are used and approved by professionals. Let's find out about them in details. IPO harness of genuine leather is super strong and reliable. Leather is of selected quality to serve the dog for a long time and to be absolutely harmless for its health. It is non-toxic and hypoallergic, perfectly processed, well-oiled and rounded along the edges. 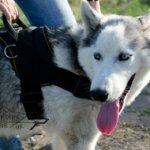 The harness is firm, but soft and safe for the pet's skin. 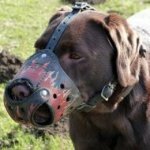 Your dog won't feel discomfort and have no rubbing and irritations being harnessed. 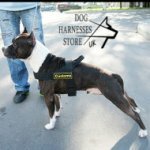 The harness is intended for medium and large breeds, which are powerful and active. 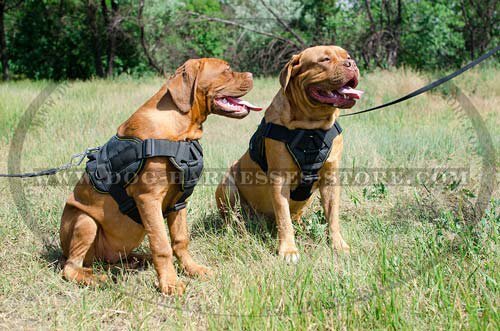 Large chest plate distributes loads along the dog's body evenly and protects from shocks and traumas during training. 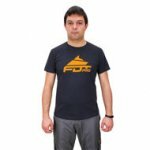 It is lined with soft and thick felt as well as a back plate and neck straps to be maximum safe and comfy. This harness is 4 ways adjustable to fit snug. 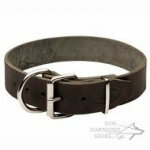 There is a quick-release buckle to harness the dog within seconds. A leash is fastened to a D-ring on the back plate. The harness is handy in use and its each detail is thought-out. All metal details are welded. They are break- and rust-resistant. 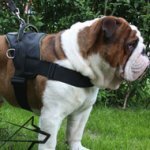 The harness is produced in black and brown colors. You can also order this gear with a handle that will be placed on the back plate for additional dog control. 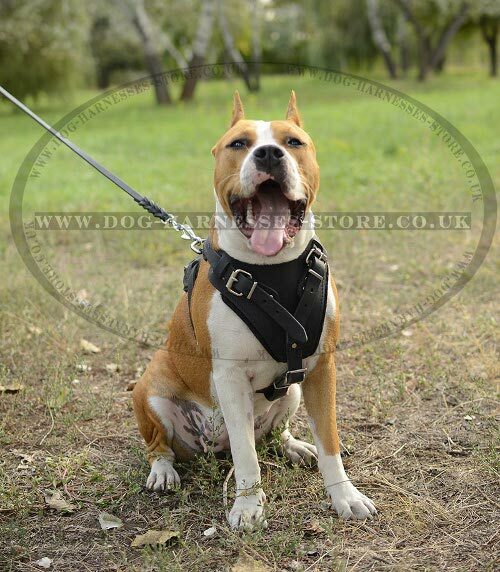 This leather harness is perfect to train your dog with comfort and confidence! 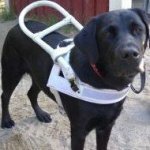 The other model of IPO harness is made of nylon. This material is hard-wearing, non-stretching and weatherproof. You can use this equipment is wet, rainy or snowy weather and it won't lose its shape and qualities. Nylon is a synthetic fabric, but it is not dangerous for your dog's health the same as natural leather. 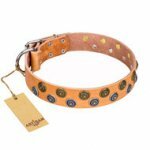 The dog will feel cozy and have no problems with skin when wear this harness. 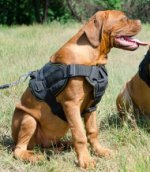 Wide and cushion-like breast plate serves for even loads distribution and dog chest protection while training. There is large back plate, which is fitted with the D-ring for leash fastening and the handle. You will grab the dog and hold it nearby in any situation. There are also 2 side D-rings for muscles development and pulling work. All the rings are weld and intended for heavy loads. Nylon straps are durable and adjustable in 4 ways so that you could regulate the size of the harness. Quick-release buckle is of molded plastic. It is solid and easy-to-use. The harness fits small, medium and large dogs. This is the ideal variant for use in any weather! As you see, both harnesses are reliable and functional. It depends on you, which one you like best. Please, write us if you have any questions.